Wed., March 28, 2018, 3:49 p.m.
DURHAM, N.C. – Duke freshman Marvin Bagley III is entering the NBA draft. Bagley broke nine program records for freshmen, including points (694), scoring average, rebounds (366), rebounding average and double-doubles (22). Only three other players in Division I also averaged at least 20 points and 10 rebounds. 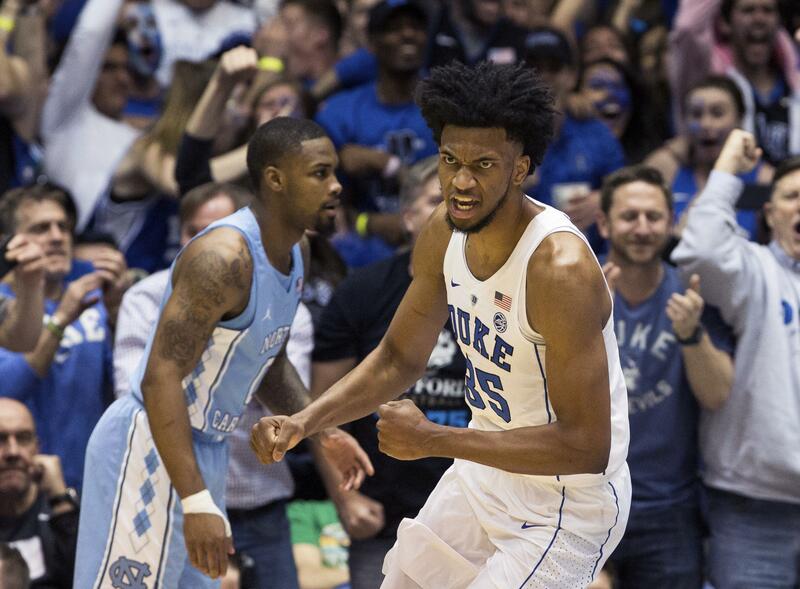 Bagley is the first player from this group of Blue Devils to announce his draft decision, and the 12th Duke freshman to declare for the draft. Each of the previous 11 were taken in the first round, and nine were lottery picks. The announcement came three days after Duke’s season ended with an overtime loss to Kansas in the Midwest Regional final. Published: March 28, 2018, 3:49 p.m.